I really enjoyed this one too. I look forward to what the author does next. I’m liking it more and more as I’ve had time to reflect on it. 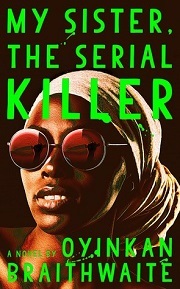 I’m very interested that you liked this one: I’ve been eyeing it and even was wondering if I should be considering it for my class on women and crime fiction – but I think it’s only out in a fairly costly hardcover right now (up here anyway). Still, you definitely make me more keen to read it at least for myself. I don’t know how it would work in a crime fiction class, as it’s so outside the usual crime formula. But it’s certainly worth a read. I’ll be interested to see what you think if you do read it! I loved this one! This and Milkman are my favorites. It’s really good! I wouldn’t mind seeing it win.